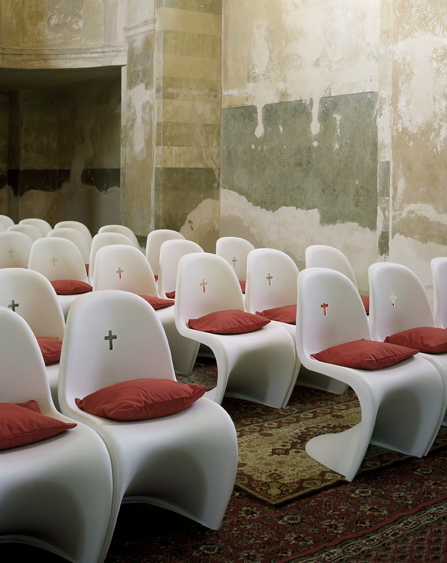 I'm not a religious person but if this was my church maybe I'd see things differently. 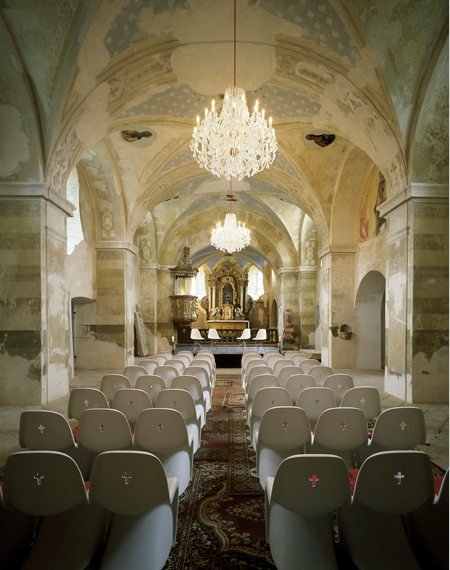 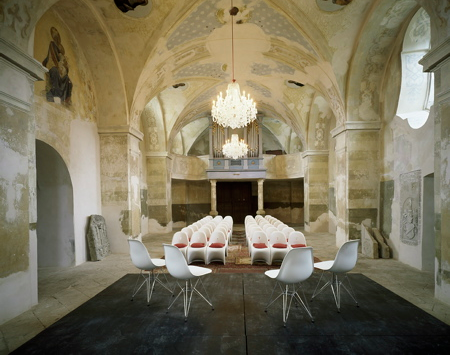 Czech design firm, Qubus Studio redesigned the church in Eastern Bohemia using crystal chandeliers, antique rugs and Panton Chairs stamped with a cross. 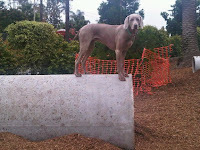 Pretty awesome I have to say- Modern meets Church.